More than 100 of the world’s most powerful people met at a former manor house near London for a secretive annual gathering known as the Bilderberg meeting. It has attained legendary status in the eyes of anti-capitalist protesters and conspiracy theorists. 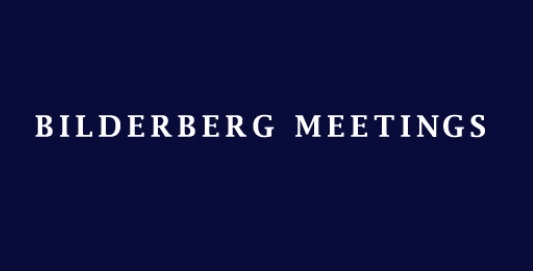 The guest list for the Bilderberg meeting includes Google executive chairman Eric Schmidt, Amazon CEO Jeff Bezos, International Monetary Fund chief Christine Lagarde and former U.S. Secretary of State Henry Kissinger. British Prime Minister David Cameron. The Bilderberg Group was set up in 1954 to support military and economic co-operation between Europe and North America during the Cold War. Named for the site of its first meeting — the Bilderberg Hotel in Oosterbeek, Holland — the forum for prominent politicians, thinkers and business leaders has been held annually at a series of secluded venues in Europe and North America. Ken Clarke has dismissed claims that the Bilderberg Group of politicians, business leaders and academics influences the coalition as “nonsense”. Kenneth Harry Clarke, PC, QC, MP is a British Conservative politician, currently the Member of Parliament for Rushcliffe in the United Kingdom. The organization held a meeting in Hertfordshire last week, attended by the prime minister and chancellor. But, Mr Clarke, a minister, told MPs the Bilderberg Group could not arrange a conspiracy, as its members could “never agree” on any subject. Labour’s Michael Meacher argued the meeting had not been a “cosy chat”. The MP for Oldham raised an urgent House of Commons question on the Bilderberg Group, which has met since 1954 and whose proceedings are not reported on, under what are known as “Chatham House rules”. It describes itself as a forum for “informal, off-the-record discussions about megatrends and the major issues facing the world”. Mr Meacher had wanted Chancellor George Osborne to answer his question, but he was not available and Mr Clarke, minister without portfolio, filled in. Mr Clarke teased Mr Meacher that he was after an invitation for the next meeting, and he pledged to arrange one. Labour’s shadow chancellor Ed Balls was one of the senior UK politicians who attended the Bilderberg meeting in Watford. Among the other politicians attending was Labour’s former Business Secretary Lord Mandelson. When Mr Clarke went against parliamentary protocol by referring to him as “Peter Mandelson”, Speaker John Bercow intervened to correct the errant minister. Mr Clarke told the House the Bilderberg meetings were informal. After 25 not-very-serious minutes, the Speaker called a halt to proceedings. Founded in 1954, Bilderberg is an annual conference designed to foster dialogue between Europe and North America. Every year, between 120-150 political leaders and experts from industry, finance, academia and the media are invited to take part in the conference. About two thirds of the participants come from Europe and the rest from North America; one third from politics and government and the rest from other fields. The conference is a forum for informal, off-the-record discussions about megatrends and the major issues facing the world. Thanks to the private nature of the conference, the participants are not bound by the conventions of office or by pre-agreed positions. As such, they can take time to listen, reflect and gather insights. There is no detailed agenda, no resolutions are proposed, no votes are taken, and no policy statements are issued. The 61st Bilderberg meeting will take place at the beginning of June 2013 in the UK. Bilderberg takes its name from the hotel in Holland, where the first meeting took place in May 1954. That pioneering meeting grew out of the concern expressed by leading citizens on both sides of the Atlantic that Western Europe and North America were not working together as closely as they should on common problems of critical importance. It was felt that regular, off-the-record discussions would help create a better understanding of the complex forces and major trends affecting Western nations in the difficult post-war period. The Cold War has now ended. But in practically all respects there are more, not fewer, common problems – from trade to jobs, from monetary policy to investment, from ecological challenges to the task of promoting international security. It is hard to think of any major issue in either Europe or North America whose unilateral solution would not have repercussions for the other. Thus the concept of a European-American forum has not been overtaken by time. The dialogue between these two regions is still – even increasingly – critical. Can the US and Europe grow faster and create jobs? TUR Dinçer, Haluk President, Retail and Insurance Group, Sabancı Holding A.S.
Is Vigorous Economic Growth Attainable? What Does Putin 2.0 Mean? What Can the West Do about Iran? How Do Sovereign States Collaborate in Cyber Space? The Middle East: What Does Democracy Mean? Technological Innovation in Western Economies: Stagnation or Promise? The Appetite for Reform: Can Governments Deliver? Switzerland: Can It Remain Successful in the Future? Can We Feed the World? Current Affairs: How does Industry See the Future? 5-8 June 2008 Chantilly, Virginia, U.S.A. The New World Order: Uni-Polar or Non-Polar? Information Technology: Globalising or Tribalising Force? Energy: What Does Dependence Mean? Economic Patriotism: A Real Threat? What Do We Mean by Freedom? How Can Europe and the US Work Together to Deal with Common Problems? Russia: Do the Transatlantic Partners have a Common Strategy? Failure of the Lisbon Agenda? The Non-Proliferation Treaty at Risk? Current Affairs: Will the Fiscal Problems Facing Europe and the US Undermine Future Economic Performance? The Rules of the Game: Towards a 21st Century Concert? Is China Changing the World? The Middle East: Is Stability Within Reach? Corporate Fraud: How Lethal is the Cure? 30 May-2 June 2002 Chantilly, Virginia, U.S.A.
Corporate Governance: Does Capitalism Need fixing? Have Civil Liberties Been Unnecessarily Eroded? What Does EU Enlargement Mean for the EU and the Rest of the World? Productivity in Europe and the United States – Is the Gap Widening? What Can the World Do About the Middle East? What Should Governments Do About Food Quality? The European Far Right – Is there a Threat? What Will be the Consequences of EMU? Is there Room for one Transatlantic Market Place? To what Extent Will Enlargement Redefine NATO’s Relationship with Russia? Is Europe’s Social Model Dead? In the Light of the Asian Crisis should the World’s Financial System be Reformed? 12-15 June 1997 Atlanta, Georgia, U.S.A.
Will NATO’s Enlargement Affect the Transatlantic Alliance? Do the World’s Energy Needs Prevent Sustainable Development? Growth through Productivity Improvement: a Threat to Western Social Cohesion? How Should the West Look at China? The Return of the European Left: Sign of Innovation or Reaction? Has Europe’s Economy Run out of Steam? Will the Enlarged Union Survive EMU’s Succes or Failure? How and How Much can the Western World Grow Economically? What is NATO Supposed to Do? Is There Work for All? Is There Still a North Atlantic Community? Should the European Union Integrate Further, and Why? What Kind of Europe Will the U.S. Have to Deal With? Do we have the institutions to deal with the agenda? 11-13 May 1990 Glen Cove, New York, U.S.A.
Can Western values be applied universally? Can the Alliance be sustained by military and arms control issues alone? The long-term economic design of the E.C. : European sovereignty? Greater political and monetary union of Europe: European sovereignty? How to handle a world awash with public and private debt? 10-12 May 1985 Rye Brook, New York, U.S.A.
How should the West deal with the Soviet Bloc? How should the West deal with developing countries? What can arms control achieve? What should Western policy be toward the Soviet Union in the 1980s? How can the Western economies put their house in order? 18-20 April 1980 Aachen, F.R.G. 21-23 April 1978 Princeton, New Jersey, U.S.A.
23-25 April 1971 Woodstock, Vermont, U.S.A.
Do the basic concepts of Atlantic cooperation remain valid for the evolving world situation? If not, what concepts could take their place? 25-27 March 1966 Wiesbaden, F.R.G. Should NATO be reorganized and if so how? 20-22 March 1964 Williamsburg, Virginia, U.S.A.
What initiatives are required to bring about a new sense of leadership and direction within the Western community?